It seems like only a few years ago that the world of drone racing was featured mainly in the gritty underground. Parking garages and abandoned warehouses were the locales of choice for many of the world’s prominent FPV racers and the videos they posted on YouTube were reminiscent of the first “Fast and the Furious” film, where it was more about illegal street racing and less about steroids and explosions. 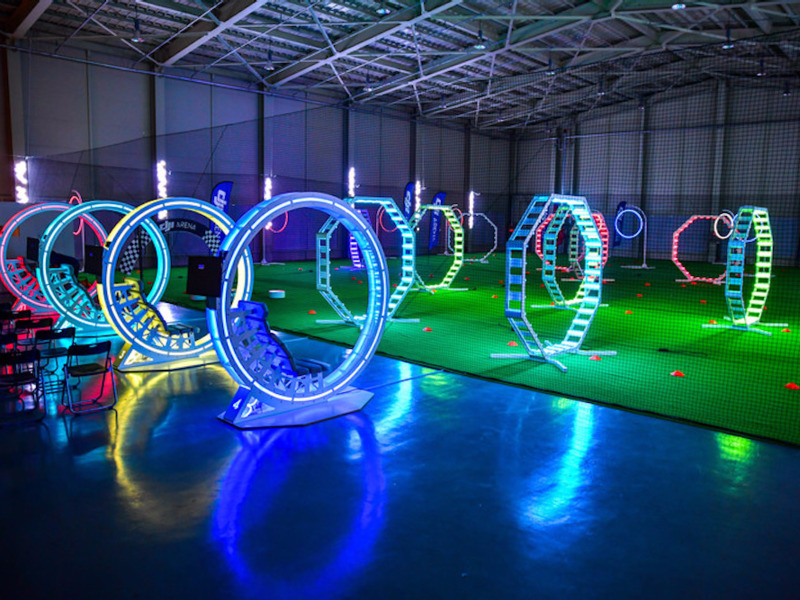 Today however, drone racing is becoming more and more mainstream. With the arrival of races like the Liberty Cup and the Drone Nationals, drone racing is more of a professional sport than a hobby or passion project. You can make arguments on whether or not this is a good thing for drone racing in general, but one thing that has improved in terms of quality are drone race courses. 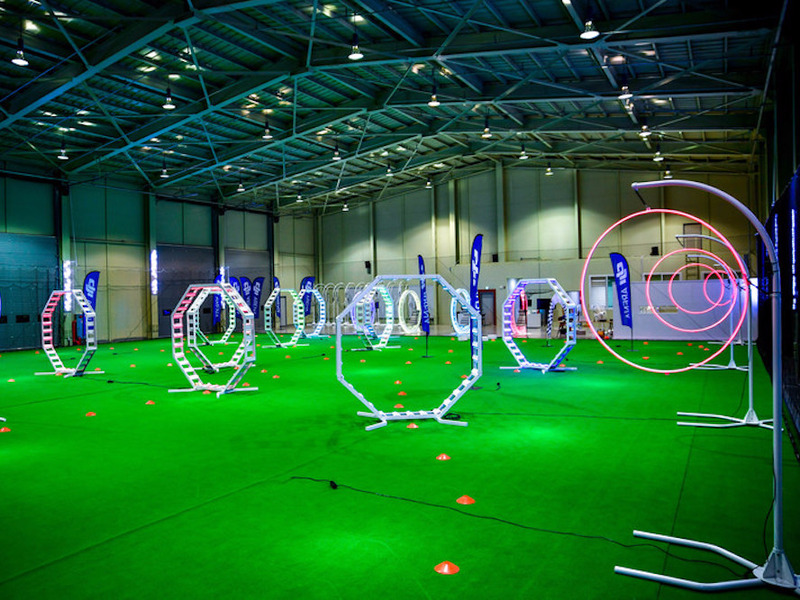 Case in point, DJI is set to open up their brand spankin’ new drone arena in South Korea that will be open to the public. This is a far shot from the pool noodle hoops you put up in your back yard. The 1,395 square meter (4577 sq. ft.) arena comes complete with safety nets, an adjustable LED-lit course, an LCD screen that hooks up to your FPV transmitter, and a crap ton of charging docks and work stations for maintenance and repair. Anyone can book time at the arena, or rent out the whole space for parties, events, etc. 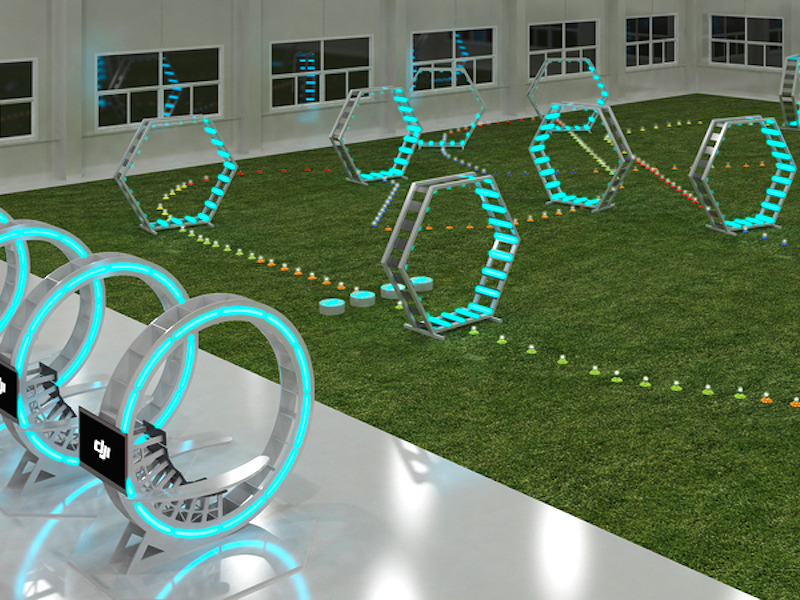 Hopefully this concept takes off and provides the inspiration needed for a few entrepreneurs to open up drone arenas in other countries.